Winchester, Ind. 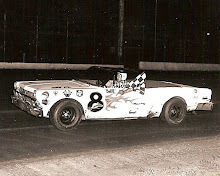 (October 17, 1971) – Rollie Beale and Gary Bettenhausen shared top honors in the twin 50-lap features for United States Auto Club sprint cars at Winchester Speedway Sunday afternoon. 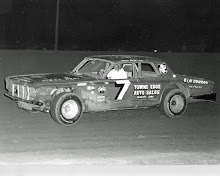 Johnnie Parsons Jr., moved into the lead from his pole position in the first feature followed by Bob Pratt, Sam Sessions, and Lee Kunzman. Larry Dickson and Beale moved in fifth and sixth positions. Parsons opened up a slight edge as the other cars ran nose to tail battling for position. Dickson moved into the second spot and began to move up on Parsons, getting by on lap 26 when Parsons spun on the backstretch. Beale, now second, set up what appeared to be Dickson-Beale one-two finish when the engine let go in the Leffler #6 which Dickson was driving, causing him to spin on lap 41. The red flag came out due to excessive oil on the track. On the restart, it was Beale, Parson, Kunzman and Sessions leading the pack and that was the way they would finish. 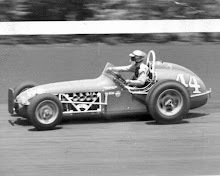 Point leader Bettenhausen was forced out on lap 17 when he suffered mechanical issues on the Willie Davis four-cam Ford. In the second feature, however, he moved over to the Leyba #1 machine, which had been driven by Greg Weld and was forced to start last. Dickson moved into the Jones #33, which Parsons had driven in the first feature and he too started in the rear of the field. 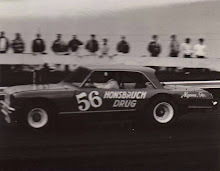 Karl Busson moved into the lead at the start of the second 50-lapper followed by Bill Puterbaugh, Bob Pratt, Sessions, Kunzman and Beale. 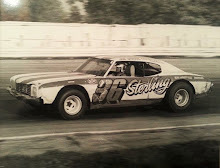 Beale took the lead on lap 9 and like Dickson in the first feature, appeared to have the race well in hand when Darl Harrison blew the engine his Maloy #45 bringing out the yellow flag due to his car catching fire. As starter Ray Chaike prepared to throw the green, Beale pulled into the pits with engine problems and was out for the day. Busson assumed the point again and was off to the races when the green flag waved. Sessions took the lead on lap 25 with Kunzman taking second and the two battled for the lead. Excitement was high as the crowd watched Bettenhausen move up through the pack. He continued to pass car after car until he took command of the number three spot in the running order. Sessions, Kunzman and Bettenhausen were running nose to tail as they approached the finish line and slower traffic right in front of them. Bettenhausen moved under Kunzman and as Sessions moved to the high groove, Bettenhausen nosed him out for the win. Bettenhausen was awarded $50 for best move of the day by Sprint Car Pictorial by virtue of his 20th starting spot to a first place finish. Kunzman, with two third-place finishes and Sessions, with a second and fourth place finish, split the $500 prize posted by promoter Roger Holdeman for best overall finish.